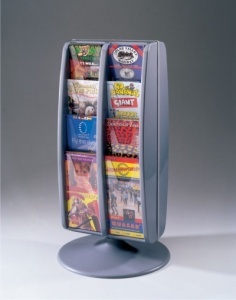 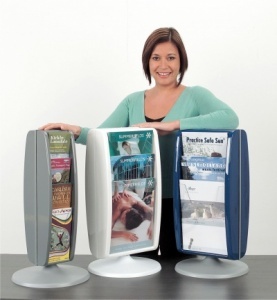 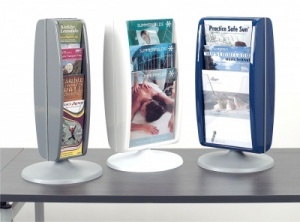 Useful range of rotating desktop leaflet dispensers. 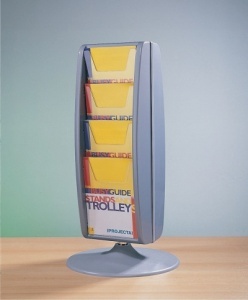 Overlapping clear acrylic pockets housed in a moulded plastic carousel, which can rotate on its circular base. 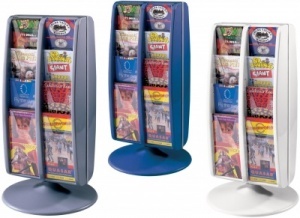 Available in a wide range of capacities and formats, and finished in white, blue or grey.